Betul Yildiz on an important day in her chess career. It's not every day that you get to beat a world chess champion - particularly with the Black pieces! 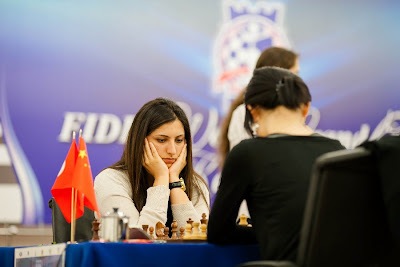 Turkey's WGM Betul Yildiz (2333) is the last seed at the Kazan Women's Chess Grand Prix. 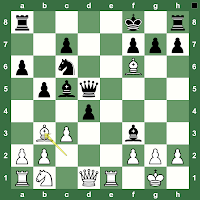 Reigning women's world chess champion Hou Yifan (2623). Fireworks happened in Round 2. 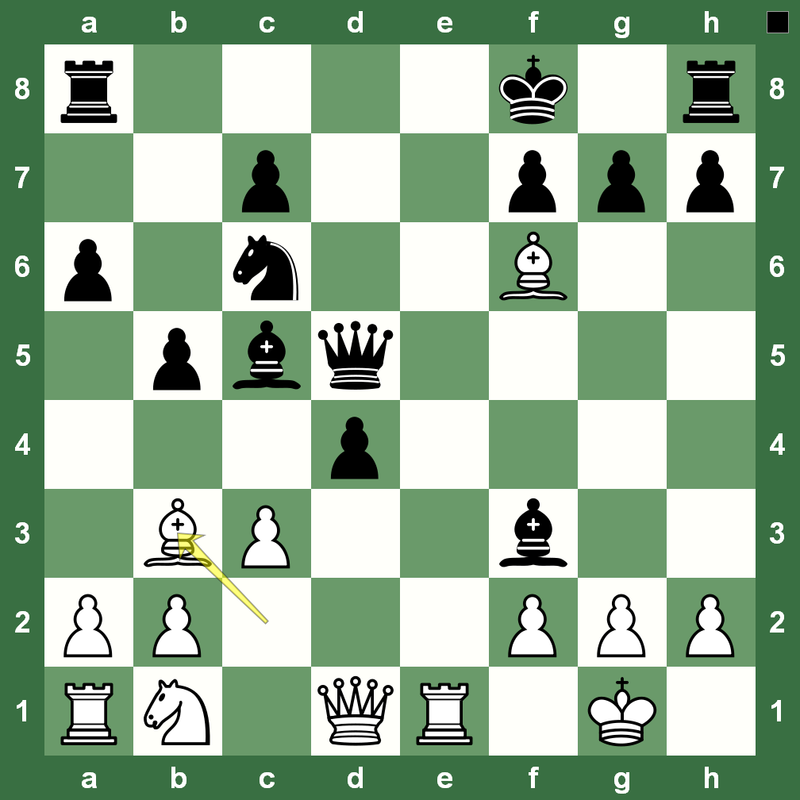 The Chinese player sacrificed a piece in a very complicated position and missed a winning variation in time trouble. But, that's the beauty and excitement of chess. Who says women's chess is not powerful enough? Look at the position on the left and think awhile how you would play it. Look at the full game in our Chess King applet.